Rare Opportunity, this Offering Will Blow You Away! A true Old Town Sanctuary, literally one block from City Park - beautiful new remodel on a park-like nearly half acre lot! 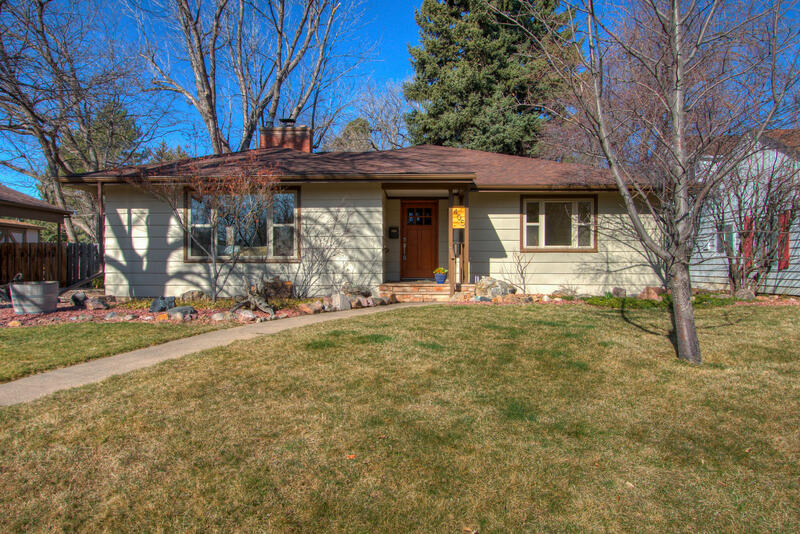 Mid Century Ranch 3 bedrooms, 2 Baths on 16,150 SQFT Lot with over 2,500 finished square feet! Amazing backyard landscaping, mature estate lot. Open and easy flow ranch layout, parking for four vehicles, detached 2 car garage with alley access and spacious carport. Endless entertainment possibilities - massive covered backyard patio with tile flooring off the Master BR and Dining Room. Convenient large storage shed, newly remodeled kitchen and bathrooms, solid surface countertops slab granite and quartz (6cm), Milarc Shaker-style soft close cabinets, composite sink, upgraded stainless steel appliances (all appliances included), upgraded newer double-pane windows throughout and newer roof (2010), wood-burning fireplace in Living Room, all windows on backside of house have built-in blinds. Dual furnaces (Hi Efficiency), Dual A/Cs, active radon mitigation, Newer carpet, Hand troweled wall texture, attic fan, new doors/phantom doors/screen slider, new lighting, sprinkler in front, updated electrical, new blown-insulation in the attic, new subpanel in lower level, new water main! 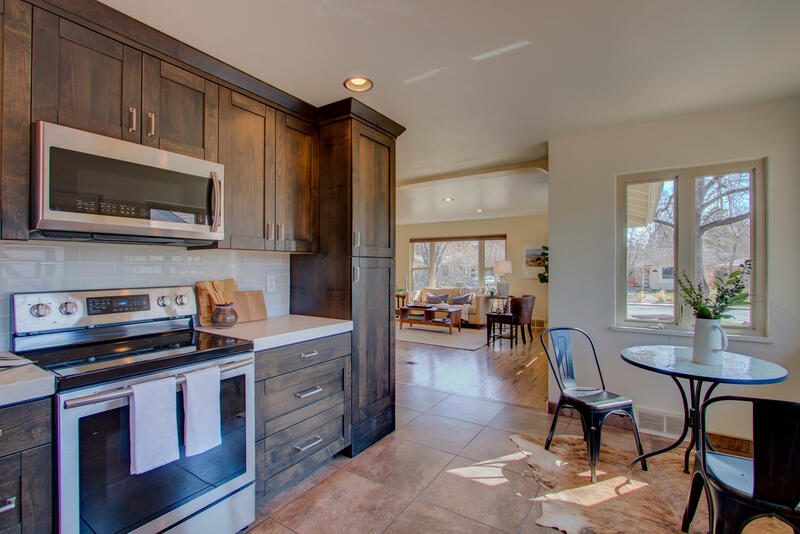 This amazing mid-century ranch has been comfortably modernized and is a treat to show/a rare find in Old Town! Probably one of the most amazing/finest backyards in all of Old Town! 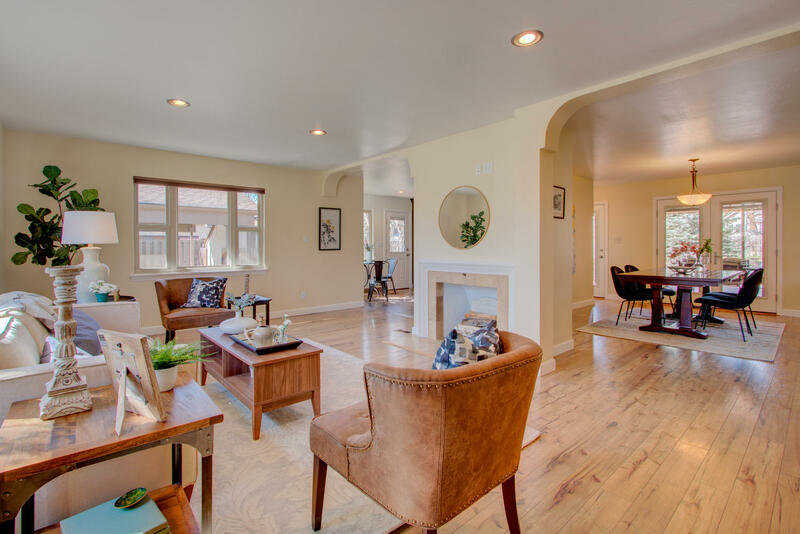 Exquisite location in Old Town and one block from City Park. Looking for outdoor entertaining? This one can't be beat! This property truly has it all for the Old Town Connoisseur. Stunning remodel - move in and enjoy!